How important is Vitamin C Therapy for cancer? Vitamin C therapy is essential when talking about eradicating cancer cells while doing no damage whatsoever to healthy cells. People would experience scurvy which is a syndrome created from deficiencies from a lack of proper nutrition. Vitamin C is also responsible for the production of collagen, without adequate vitamin c collagen production suffers. Sagging skin would become an epidemic without collagen as it keeps the skin on the face firm. Also, a diet lacking in vitamin c would cause a shortage of collagen and result in gum tissues that bleed. Consuming various types of plants consistently can provide sufficient vitamin c that is vital for various bodily functions. What may surprise a few people is lemons and limes are terrific suppliers of this vital vitamin. And, the obvious orange is an excellent provider of this essential vitamin. In the world of antioxidants, vitamin c owns a vital role helping to combat free radicals. Let’s start with what an antioxidant is? It plays the role an agent where it’s work is completely focused on giving away electrons. Wherever there happens to be a shortage of electrons it begins its job of filling those voids. This is where atoms come into play in vitamin c therapy. Now, atoms are free radicals that have a deficiency in electrons. Unlike antioxidants whose job it is to help, free radicals are the opposite and want to create damage internally. Free radicals travel through the body looking for electrons. They are bad news and tend to create tiny openings in membranes and mutations. The only thing that satisfies a free radical is when an anti-oxidant provides it with an electron. This action prevents further damage from being done internally. It has been proven scientifically that when large doses of vitamin c are given intravenously electrons are donated to free radicals very rapidly. There is a reaction that then occurs which is called the “Fenton Reaction”. It happens when cooper and iron, two popular minerals, are introduced to vitamin c.
Next in this amazing process is when iron receives an electron from vitamin c, this manufactures hydrogen peroxide. What’s also important to realize is oxygen no longer exists in cancer cells as a result of becoming anaerobic and this stops anti-oxidant enzymes from being made. Being that oxygen is no longer present in cancer cells, this also tells us that catalase is no longer present either. When cancer cells come into contact with hydrogen peroxide, they die. The reason they die is a result of the cancer cells no longer having catalase. Catalase is needed in order to neutralize hydrogen peroxide. All healthy cells have catalase which works seemlessly with the peroxide. The peroxide is transformed into oxygen and water which are normal for healthy normal cells so no damage done. 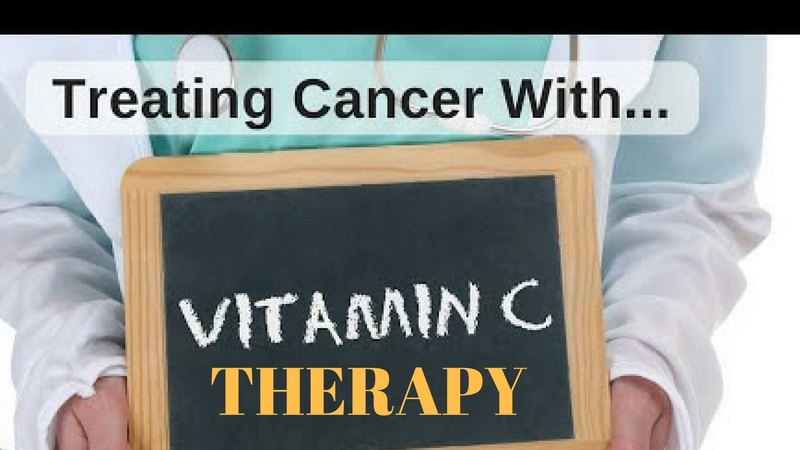 Therefore, when vitamin c therapy is given intravenously it is good for the normal and healthy cells and causes the cancer cells to die off. This therapy presents a metabolic challenge to the cancer. It’s a wonderful healing modality that eradicates the cancer cells. This is one of the intravenous therapies we use at An Oasis Of Healing with great success.